Yesterday we had our big family gathering at my house. The pressure is now off because all I have to do Christmas Day is head over to my daughter’s home. But most of you are probably preparing for tomorrow and I thought you might enjoy touring a country style Russian home by Yuri Grishko that’s quite pretty and traditional. 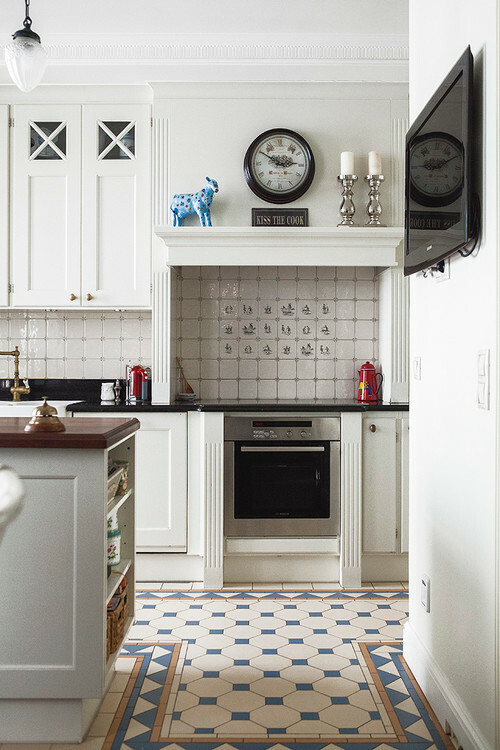 The kitchen has a uniquely patterned floor and note the custom tiles above the stove. 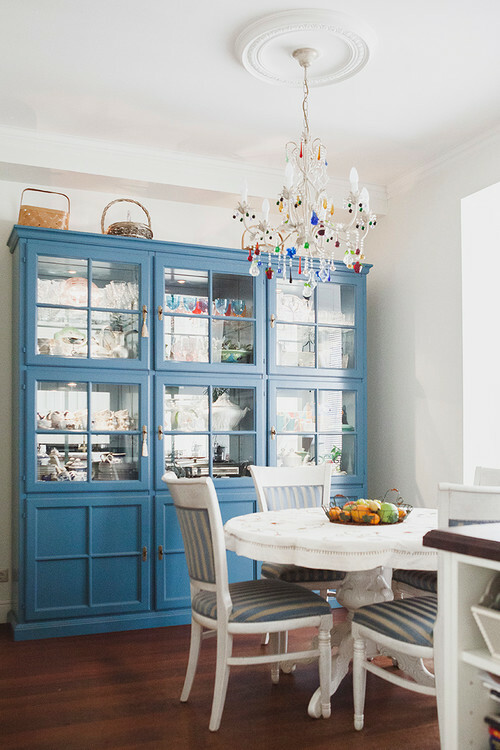 Next to the kitchen is the dining nook with an awesome hutch in country blue. Colored crystals hang from the breakfast nook chandelier. 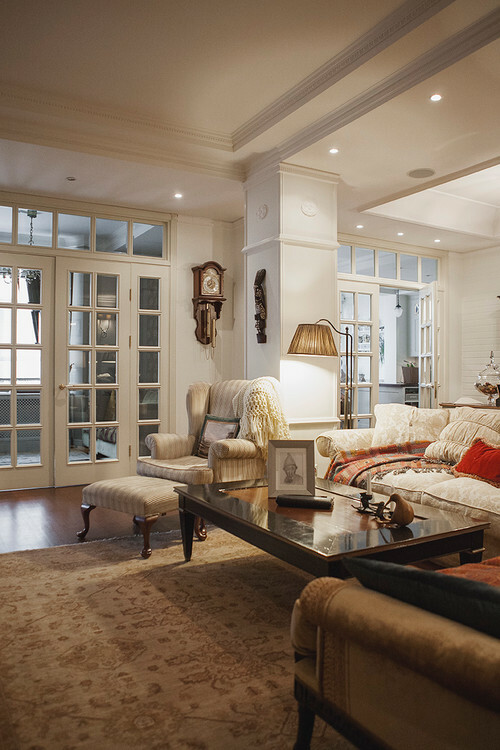 The expansive living room enjoys large French doors and traditional furnishings. 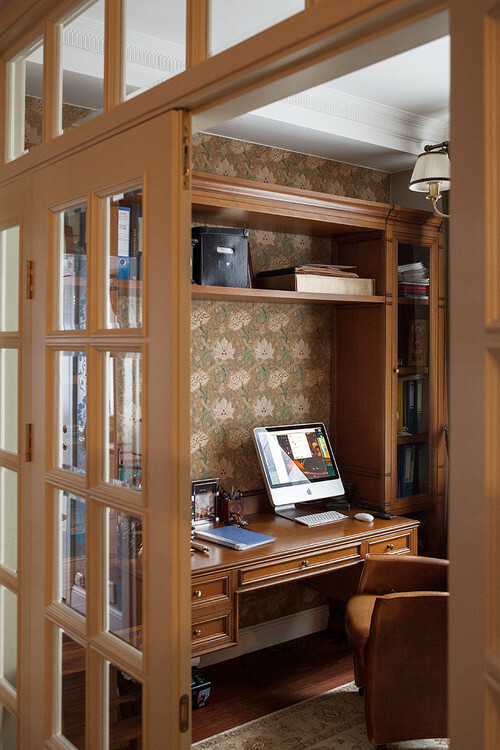 Behind one set of French doors is an intimate office space. Do you like the wallpaper? I’ve decided to wallpaper the upper half of my downstairs bathroom walls once the holidays are over. 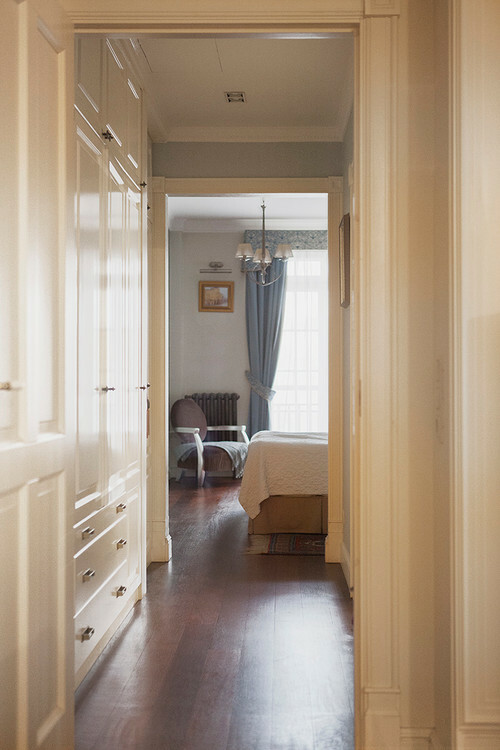 Plenty of storage is available in the hallway leading to one of the bedrooms. Every time I clean the house I feel like I could use more storage. A hall like this would be fabulous. 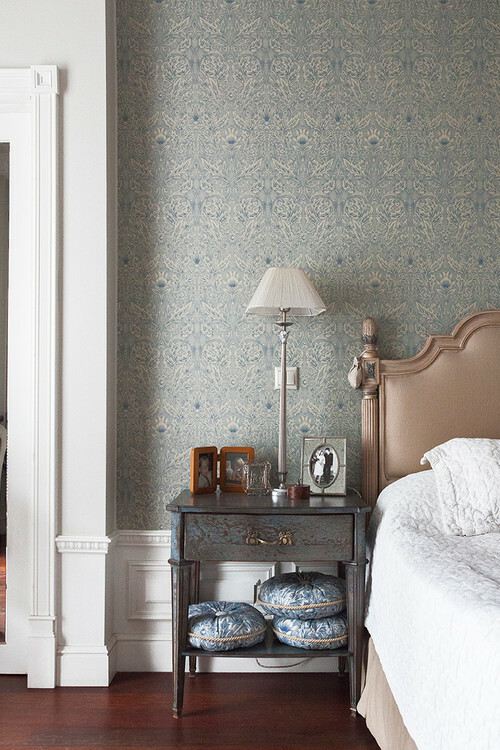 You’ll find more wallpaper in the serene bedroom. 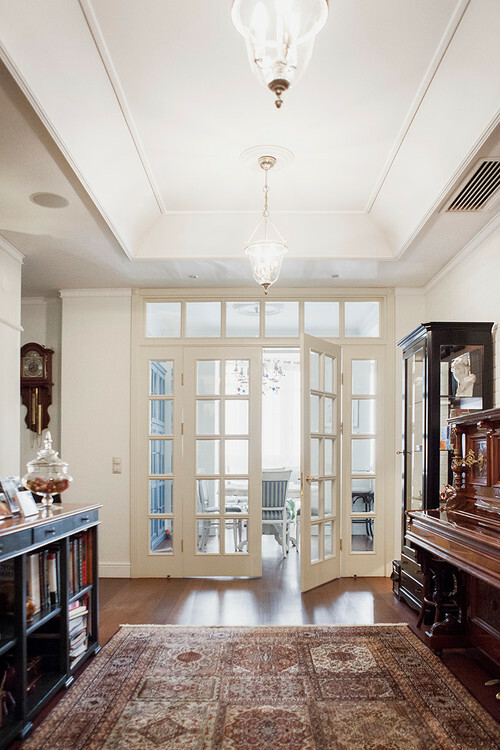 I love the trim work details as seen around the door at left. 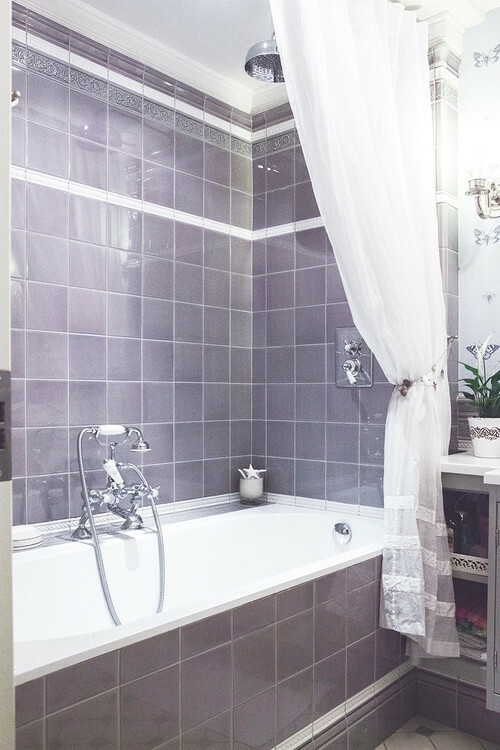 A rain-head shower is ready to help you de-stress in the bathroom with custom tilework. Is it possible to love a bathroom? 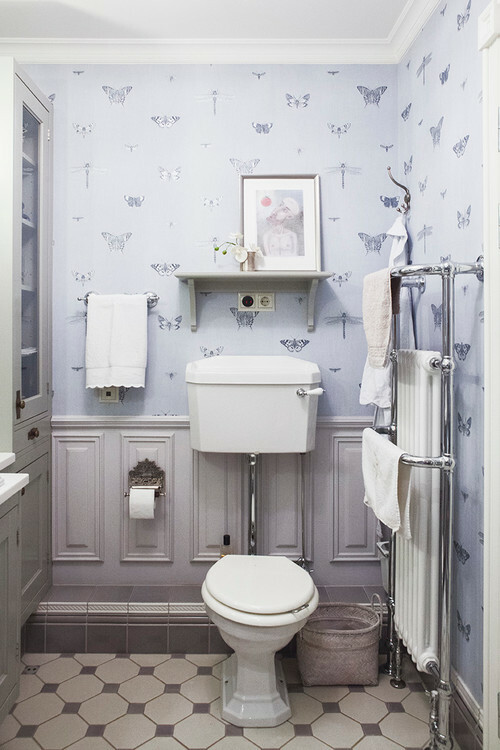 I adore this one with its unique toilet, butterfly wallpaper, and architectural trimwork. 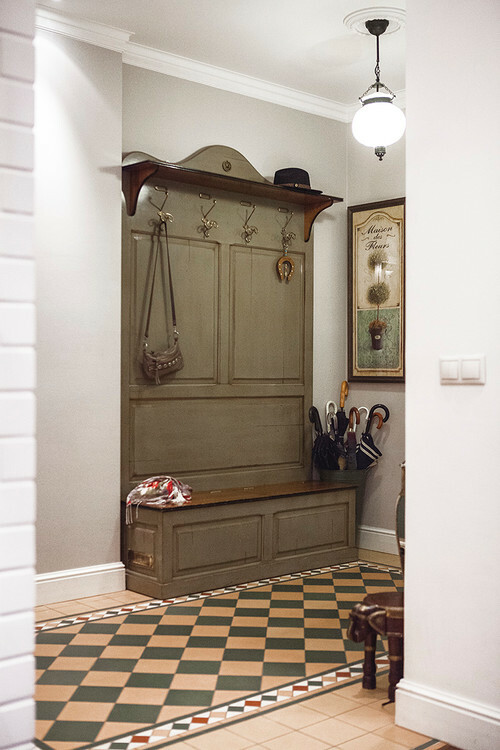 You’ll find another pretty floor tile in the mudroom, along with a sweet little pendant light and a convenient coat rack. 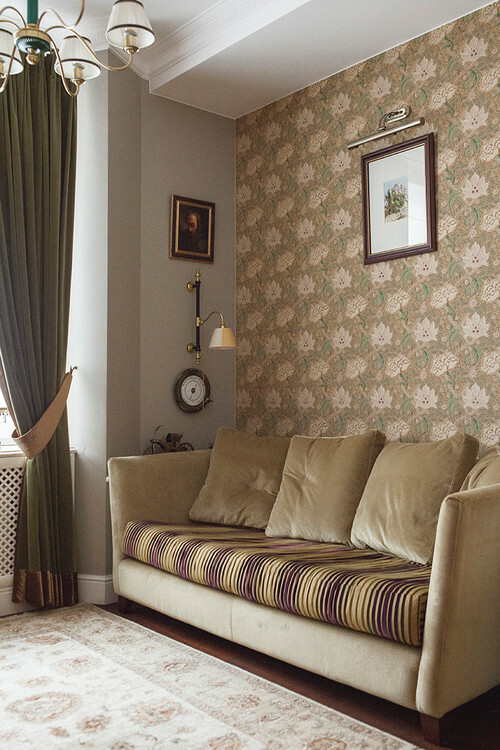 You can see more of this country style Russian home at Houzz. Merry Christmas! Thank you for this wonderful site! What a beautiful home. 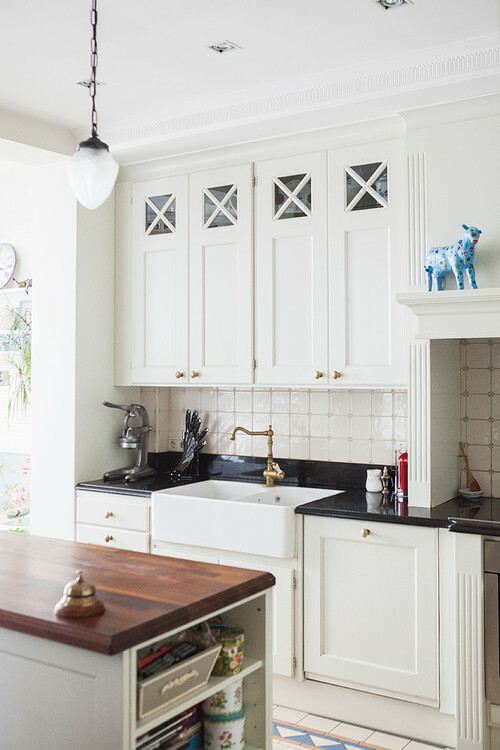 I love that kitchen floor. Merry Christmas to you and your family. 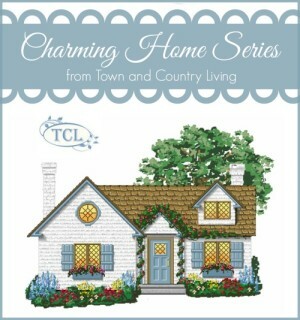 I love the white with a country look. I’m use to seeing rustic dark colors for a primitive rustic look. The white is simple but yet very attractive.